English education: young adult literature, the teaching of writing, cowboy poetry. 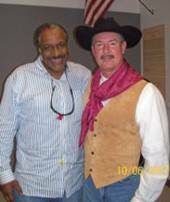 Dr. Blasingame focuses on young adult literature, secondary writing instruction, preparing pre-service teachers, and cowboy poetry. He is coeditor of The ALAN Review, a journal devoted entirely to young adult literature and sponsored by the National Council of Teachers of English. He is also creates the Books for Adolescents pages of the Journal of Adult and Adolescent Literacy, which is sponsored by the International Reading Association. Dr. Blasingame has served as co-editor of NCTE’s The ALAN Review since 2003 and has created the Books for Adolescents pages of the International Reading Association’s Journal of Adolescent and Adult Literacy since 2002. He is the author of Books That Don’t Bore ‘Em: Young Adult Literature for Today’s Generation (Scholastic, 2007), Gary Paulsen (Teen Reads: Student Companions to Young Adult Literature) (Greenwood Press 2007), Teaching Writing in Middle and Secondary Schools (Pearson, Prentice-Hall 2004), and They Rhymed with Their Boots On: A Teacher’s Guide to Cowboy Poetry (The Writing Conference, 2000). He has also published over 60 interviews with poets and authors of young adult literature and over 100 book reviews in VOYA, Journal of Adolescent and Adult Literacy, The ALAN Review and English Journal. Dr. Blasingame creates the annual Honor List of young adult literature for English Journal along with Dr. Alleen Nilsen and Dr. Ken Donelson. 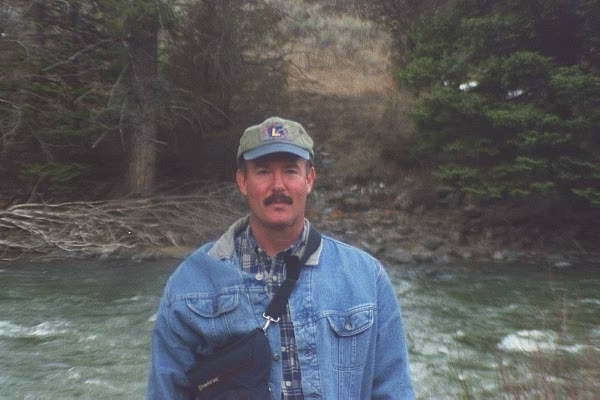 He has given presentations performing cowboy poetry at the National Council of Teachers of English convention, the International Reading Association, and the Western States Conference on Rhetoric and Composition. Dr. Blasingame is past president of the Arizona English Teachers’ Association and is the 2008 ASU Professor of the Year. He is the 2008 International Reading Association Arbuthnot Award winner for outstanding professor of children's and young adult literature. He was the recipient of the 2007 ASU College of Liberal Arts and Sciences Distinguished Teaching Award for the Humanities and one of eleven ASU professors to be given the 2007 Arizona State University Parents’ Association Professor of the Year Special Recognition Award. Before coming to ASU in 2000, Dr. Blasingame spent twenty-four years in secondary education including: three years in high school administration at Interstate 35 High School (Truro, Iowa), and Bishop Miege High School (Shawnee Mission, Kansas); eighteen years in English education at Girls and Boys Town High School (Boys Town, Nebraska); American Fork High School (American Fork, Utah); and Dowling High School (West Des Moines, Iowa). He also spent two years coaching college athletics at Western State College (Gunnison, Colorado) and Simpson College (Simpson, Iowa). This course focuses on the knowledge and skills needed to teach writing at the middle and high school levels. Students will gain a repertoire of instructional and evaluative techniques for teaching the various modes of writing and for helping their students to improve their written products. Students will practice using the Six-trait approach for instruction and assessment, guiding writers through a process model, creating a writers' workshop, using writing portfolios, teaching writing across the curriculum, designing composition units and integrating writing instruction with other language arts and other disciplines. ENG 480 ties in closely with ENG 482 (Methods of Teaching Language). Prerequisites: ENG 312 or ENG 314 or permission from the instructor. A grade of at least "C" in this course is required before students are permitted to student teach. This course focuses on the knowledge and techniques necessary to teach language at the middle and high school levels. Students will not only improve their understanding of English language concepts and skills, but also develop a repertoire of instructional techniques for teaching these concepts and skills in the secondary classroom. Students will create lessons and practice-teach them for assessment and improvement. Prerequisite: ENG 312, or 314, or the permission of the instructor. A grade of at least "C" in this course is required in order for students to receive permission to student teach.